Give your Holiday season that extra sparkle with this delightful gift box filled with the limited edition Winter Irrésistibles. 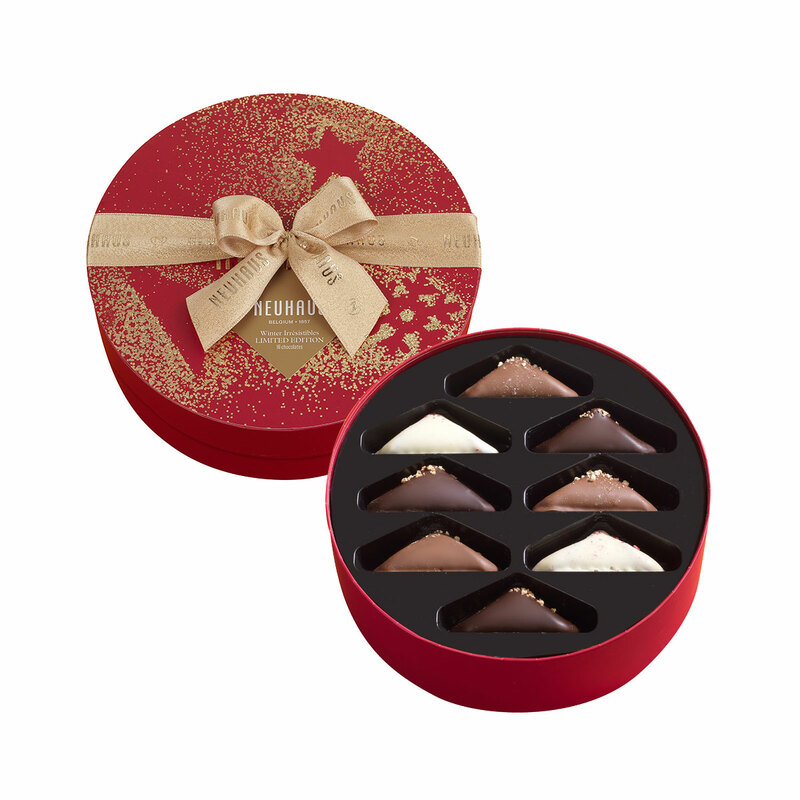 This gift box offers a selection of 16 new Irrésistibles specially created for the holiday season. For its creation, our Maîtres Chocolatiers have re-invented three world famous desserts: velvety Tiramisu, heart-warming Apfelstrudel, and smooth Cheesecake.